Bryce Dwyer wrote another article about my work, titled "Serving Art," for Mash Tun magazine. The article compares and contrasts a few of my projects to Tom Marioni's work The Act of Drinking Beer With Friends is the Highest Form of Art. Some of Bryce's thinking centers on the blurring of art and life. You can download and/or view the article here. I put the article online, hopefully that's not a problem with Mash Tun. A quote: "Whereas beer is a readymade for Marioni, for Steen it is magic stuff with qualities that open up a broad range of experiences - both from the beer itself and the scene of its consumption." Mash Tun is our paean to craft beer. It follows the pleasures and aesthetics of craft beer and how it intersects with food, culture, and society. 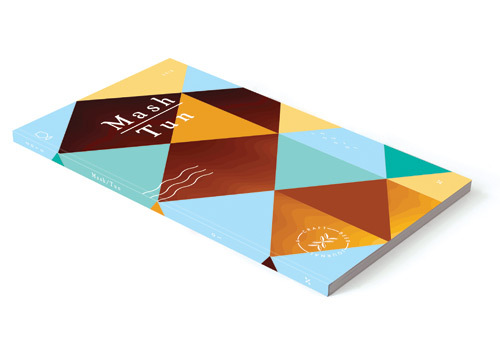 The Mash Tun comes in the form of a Journal, a Website, a Festival, and a Guide. It features contributions by: Bryce Dwyer Jeriah Hildwine ,Frank Hays Jamie Trecker, Shanna van Volt, Sarah Morton, Kyle Smith, Matthew Mikkelsen, Andy Skelton, Jon Braun, Dan Morgridge, Paul Durica, Samuel and Jesse Edwin Evan, Plural, Erin Drain Mairead Case, Michael McAvena Dan O’Shea, Michael Kiser, and Ed Marszewski.